We just enjoyed our annual Hands Helping Anglers event, a great day of friendship, fishing and fun on the Gulf with volunteer boat captains from around the big bend area. More than forty people were able to enjoy the fishing and boating adventure this year, mostly out of Shields Marina in St Marks FL. Beautiful weather, picturesque scenery, packed lunches and helping hands make this a special day for me personally and for everyone involved. 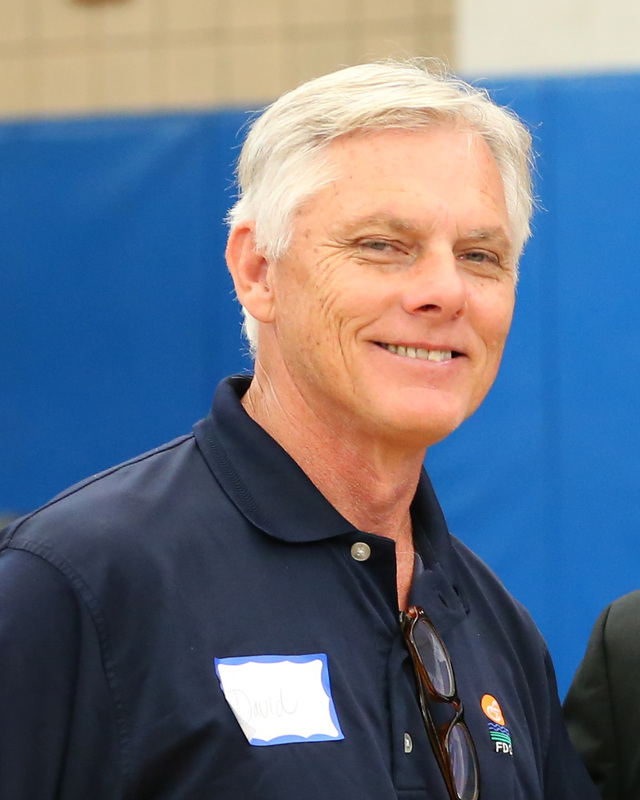 Thanks to the team of volunteers led by John McBride with Respect, Rotary club members and other friends and community contributors like Tyler Mendelson whose father, Robert, started this event thirty years ago. 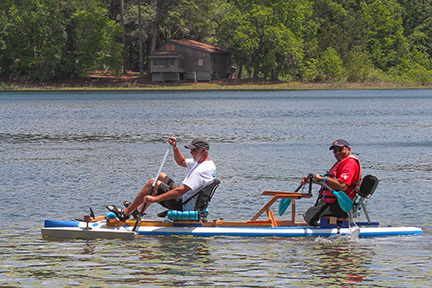 Our greatest appreciation goes to the boat captains who give up their time and personal expenses to provide this experience for new or old friends that may have a disability. It may seem strange to some be thinking about fall activities already but for hunters that want to participate in next seasons mobility impaired quota hunt program, it’s time to do just that. Hunt permits are distributed to hunters with a Florida Fish and Wildlife issued Mobility impaired certification card by way of random drawings from on-line applicants. The first phase closes on June 15 and all will be awarded one permit. The next application period ends on July 2 when a second permit will be issued. Then beginning 10 AM on July 5 permits will be issued online first come first served for up to five permits per person. Most permits are nontransferable, allow for a guest permit, and offer no- show permit hunt opportunities. To apply and to get more information go to www.myfwc.com . We now have twelve outstanding Mobility Impaired hunting areas when you include St. Marks and Eglin Air Force Base. The most recent is just coming on this season. We have been working with our good partners from Florida Fish and Wildlife, Dept. of Environmental Protection, and the Florida Forest Service to acquire a new hunt area in the Tallahassee area for several years now, and we are proud to announce the Plank Road Wildlife Management area as an additional mobility impaired hunting opportunity. This property will be an FWC Wildlife Management Area, managed by the Forest Service. The area has been called Horne Springs by locals for years, and will soon become home to the new Horne Springs State Park. The acquisition adjoins the existing Natural Bridge State Park near Woodville. This area is in a very much unimproved condition without a good road system yet. The first few years may be a little rough going but will be an area that should turn into a very nice property in time. This an outstanding joint project land acquisition that will protect wildlife habitat, protect important water resources and provide great outdoor recreation. I recently traveled to Perú with my family. All I can say is that it was simply breathtaking. Seeing ruins from the Incas built in the 1400's was so much more impressive than the books I had read. On Sunday, June 17, you can experience the Rubber Duck Race!! Prizes include Gatorland passes, a giant floating duck and more! Adaptive surfing has quickly risen in popularity among other adaptive sports. It is a great recreational activity for the summer for people of all abilities and families to enjoy. Surfing develops balance, self-confidence, independence, and is a great time. Surfers experience both physical and mental growth while participating. Today, there are more opportunities than ever to participate in surfing through adaptive surf clinics and increasing availability of surf boards that can fit any level of ability. “Freedom, definitely. Being out of the chair for a moment and feeling the water is pure freedom.” Says Oceans of Hope founder Danny Paltjon when asked about adaptive surfing. 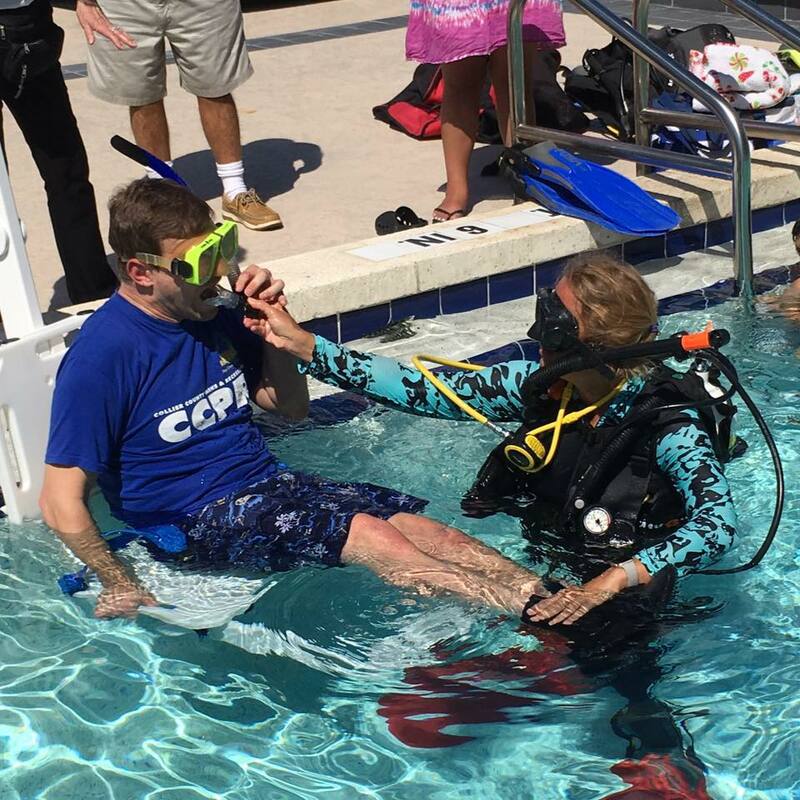 Danny sustained a spinal cord injury years ago and missed the freedom of enjoying the water and spending days on the beach with his family. He and Chris Sharpe came together to form Oceans of Hope in 2014, to provide adaptive surfing opportunities to their home area of New Smyrna Beach after seeing an organization in Hawaii getting people with disabilities on the beach and in the water. The Oceans of Hope Foundation puts on a couple of events each summer for adaptive surfing. Their Freedom Surf event is for ¬veterans and their families to come out on June 24 at Esther Street Park at New Smyrna Beach. They also have another event called Summer Surf, July 21, with more information coming out for that in the future. You can visit www.oceansofhopefoundation.org for more information. There are other adaptive surfing opportunities here in Florida as well! Life Rolls On is putting an event together on Saturday August 11, 2018 at Jacksonville Beach as part of their Get on Board Tour. This event is for people of all ages and all disabilities, including families, to come together for a day on the beach. The event is free and registration opens in June at www.liferollson.org/florida.